We've continued enjoying reading and learning about owls this week. 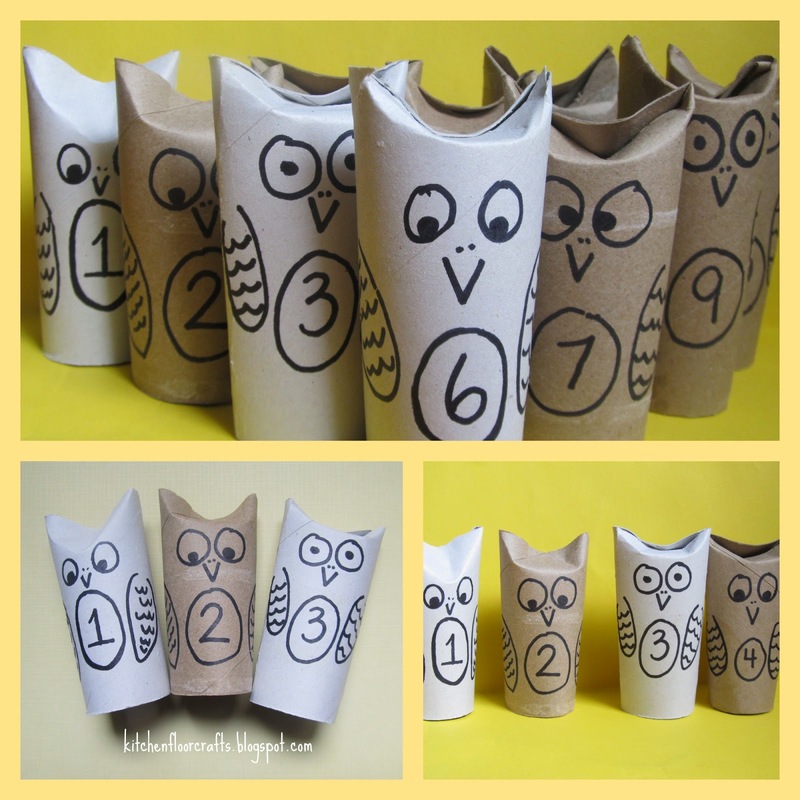 A coworker made some adorable, cardboard paper tube owls at the beginning of the year to decorate a classroom space in the school. 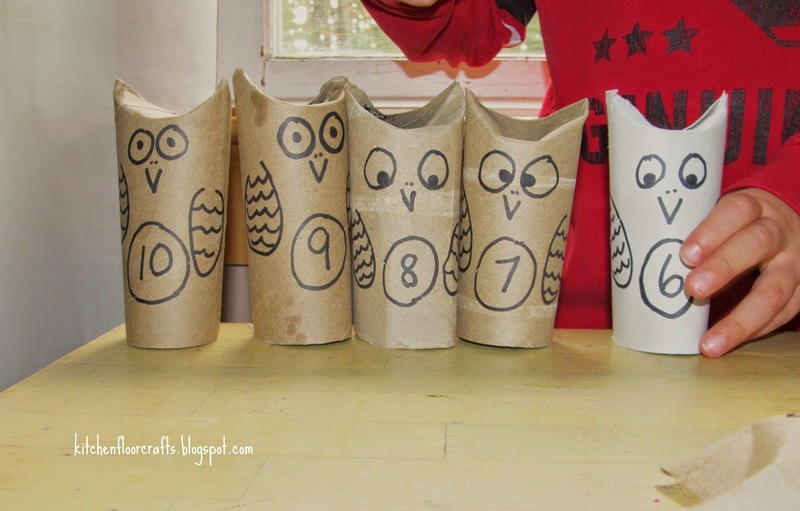 This combined with a favorite owl book inspired an owl themed math activity. 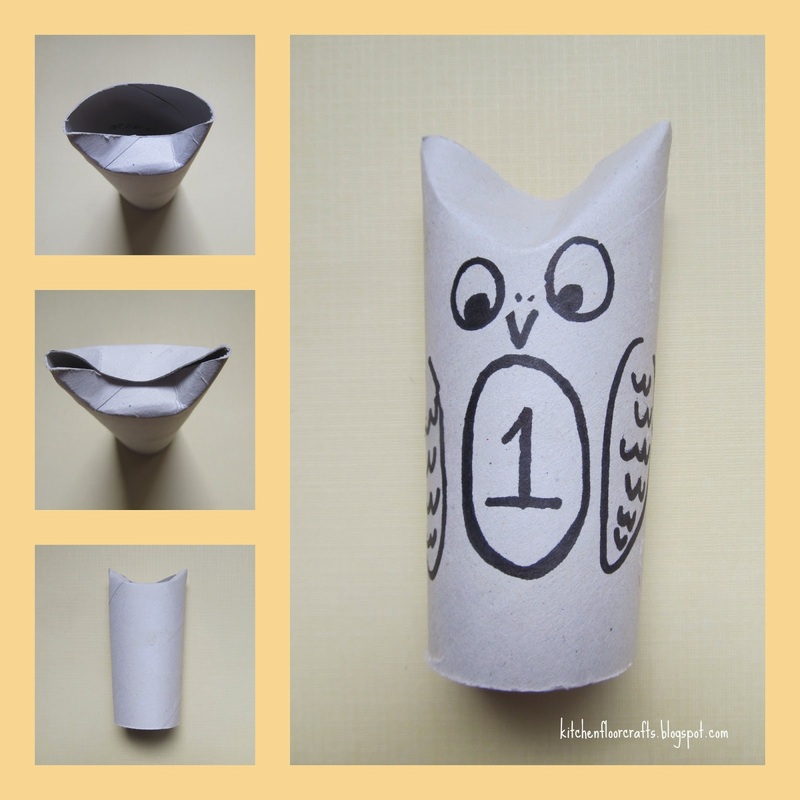 Owl crafts are all over the web and Pinterest these days. I'm not sure exactly where those at school found their inspiration, but it looked something like these. We love the tale of an owl who learns to count as she makes her way through the night. The number of animals she sees increases each page up to ten. But even better are the details, like the fact the owls' wings show the numbers you need to count to so far and the animals she sees have the numbers as part of their bodies. I decided to keep our owls simple, as I was planning to place a number in the center and I wanted the number to be the focus. 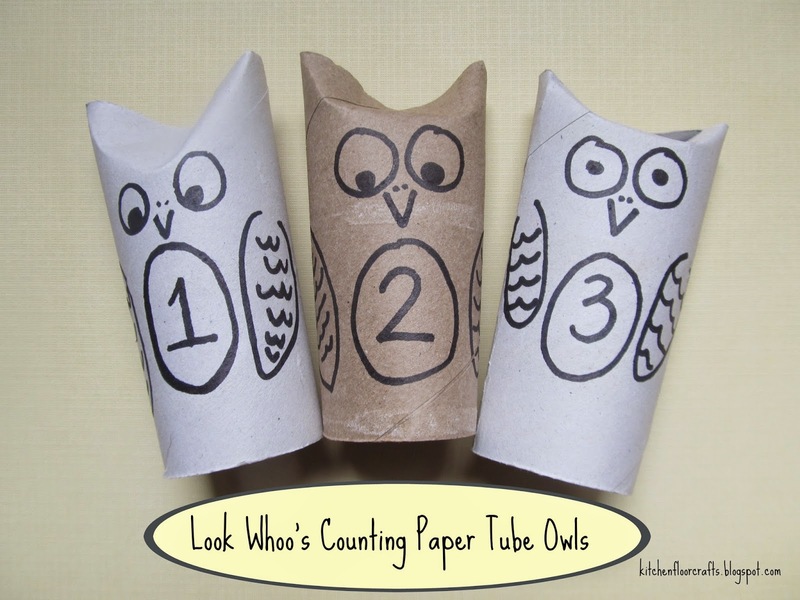 To make the owls I used ten toilet paper tubes and a black permanent marker. First I folded down one side of the top of the tube. Then I folded down the other side. This left some points which looked like feather tufts. 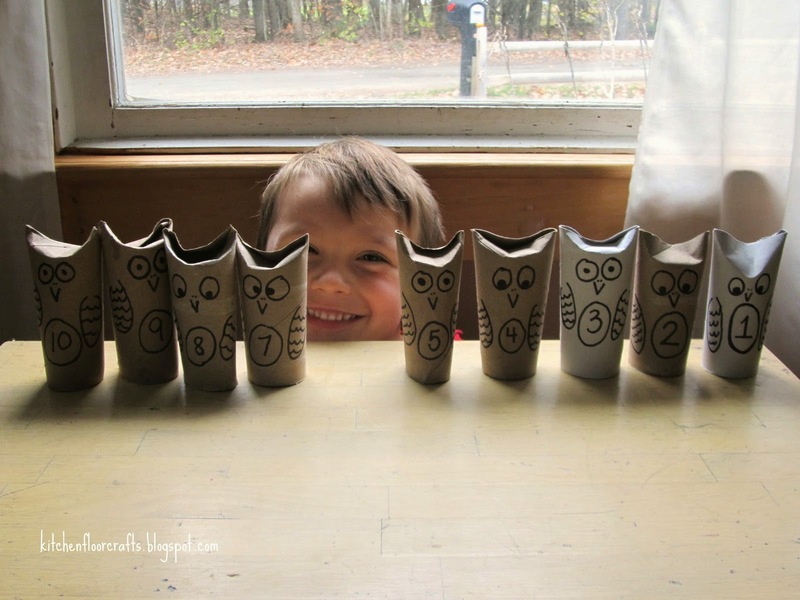 After I folded the tubes I used the black marker to create the rest of the number owls. Each owl got a number 1 through 10. After Big Brother and I read the book he too the owls, which were all mixed up, and put them in order from 1 to 10. 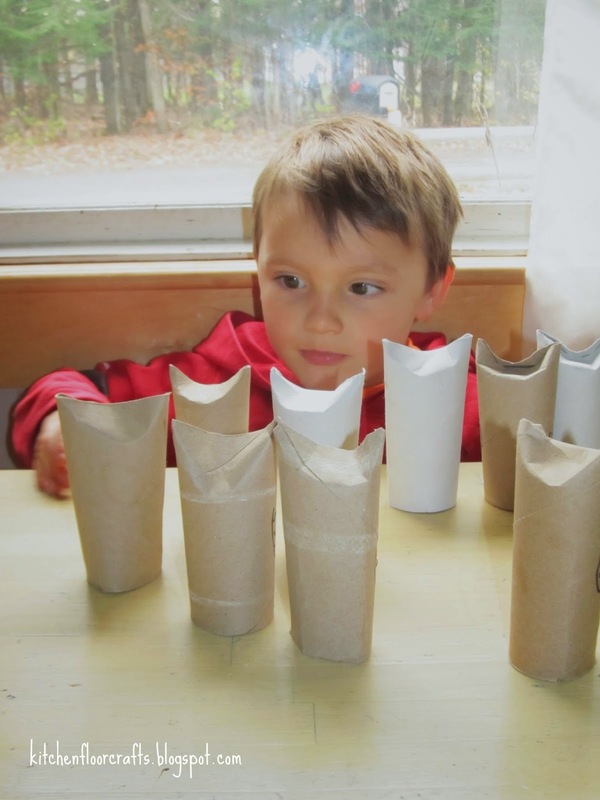 We continued playing some other games with the paper tube owls. After we set them up from 1 to 10 I encouraged Big Brother to set them up from 10 to 1. We also played games where one of us would take one owl while the other had to guess afterwards which owl was missing. Big Brother was pretty quick with all our activities but we still had a lot of fun with this new math material!